Billboard reports that the government of Ontario has just allocated C$14 million (US$11.5) to 123 music companies, including the world’s largest. The grants include Universal Music Canada Inc. ($1.2 million), Warner Music Canada Co. ($750,000), Sony Music Entertainment Canada Inc. ($475,000) … and The Corporation of Massey Hall and Roy Thomson Hall ($200,000 and $175,000). * Wikipedia: The Tenors (formerly known as The Canadian Tenors) are a vocal quartet consisting of Remigio Pereira, Victor Micallef, Fraser Walters, and Clifton Murray. Doesn’t the Govt know they are ‘formerly the Canadian Tenors’? This is part of the Conservative government’s policy, across all fields, to fund those who have achieved or are likely to achieve international excellence and let everyone else fend for themselves. Not surprisingly we are also seeing an increasing disparity between the very rich and the very poor in Canadian society. It is a massive social experiment to turn us into the USA. While the action may look conservative (with a small “c”), Ontario has had a Liberal government since 2003. As managers of our tax dollars one could say that it is encouraging that the Liberals have moved on from terminating natural gas electricity projects, (incurring a billion $ in liabilities) to spending a little bit in the cultural sphere. 1. This is not ‘Canada’ but Ontario. Provincial governments do not represent the country. 2. 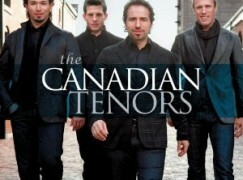 The fact remains that “The Tenors” are all four Canadian. Governments never know things like that — they are full of people who still reference The Beatles when they are trying to mention a rock band to look cool. And, though the name change was made, for inscrutable reasons, most Canadians who for whatever reason are interested in them do still refer to them as The Canadian Tenors. $14 million to profit-making commercial giants such as Universal, Warner and Sony ???!!!??? Terrible policy choice and misuse of public funds !